SkyBoss makes invoicing and scheduling a breeze for your plumbing business. Take control of your company and maximize efficiency; start your free demo today! Maybe it is because drains are hidden away in places that are not so easy to see, or people know so little about them and that is why there are so many misconceptions surrounding the cleaning of these channels that take away waste water from homes and other buildings. The following are some of them. Not All Microbes In The Drain Are Bad. For some reason, most people think that any micro-organisms in the drain are bad and should be gotten rid of at all costs. This is not accurate. True, there are bad microbes in there and they would harm whoever got in contact with them; but, there are also microbes that do a lot of good in the drain. This is because they feed on the bad ones and in so doing they help to keep their numbers at a level that can’t cause problems for humans. Not All Clogs Are Due To Hairballs. 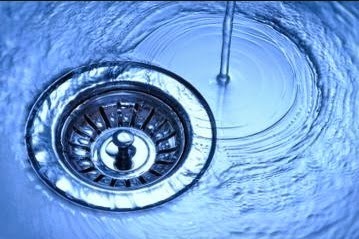 When many first get a quote for a drain cleaning job, they exclaim at how high they are being billed for “removing a hairball.” What such people fail to realize is that if all clogs were caused by a single problem, plumbers would run out of business because that is a problem that almost anyone can deal with. The truth is that blocks to drains are caused by all sorts of things like tree roots, small animals that get trapped when they crawl into the drain, or a clog very deep in the drain. Such things require a professional Corona plumber to handle the problem. Not All Chemicals Can Be Used For Any Drain. The “one size fits all” approach doesn’t apply when it comes to drain cleaning. Drains are made from different materials so one must first establish whether or not a given chemical will react with the pipes in the drain. You can’t for instance use any chemical on PVC pipes as some chemicals will degrade them just as some chemicals will corrode cast-iron pipes. You have to select what won’t cause damage to the system. Cleaning Drains Once Isn’t Enough. 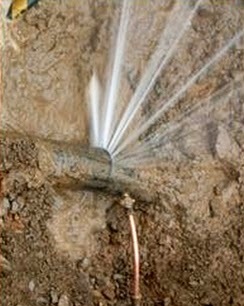 Drains keep accumulating debris on their walls and over time, those deposits can impede the flow in there. You cannot assume that because you have had your drain cleaned you will not have to do it again. Still, professional Corona drain cleaning service does offer long-lasting results, far greater than those offered by quick rooter service that just punches through a drain. Routine maintenance is needed to prevent major problems from blocking the drain entirely. It would cost you a lot more to solve those major problems and the inconvenience alone is unthinkable. There are many misconceptions and the only way to sort truth from myth is to contact Corona drain cleaning professionals. Don't fall for old wives' tales; contact Option One Plumbing today to learn more about drain cleaning and how it works.